To the naked eye, nature moves slowly. Time-lapse photographer Morten Rustad is breathing life into what would otherwise seem static. One quick look at Morten Rustad’s videos of Norwegian nature, and it’s clear something unique is happening. Waves of clouds caressing mountaintops and tiny people scuttling about like ants in the face of huge panoramic views. Rustad is part of a small movement in photography specializing in the technique known as time-lapse. Rustad made his first time-lapse video a few years ago – a number of shots detailing the area surrounding the University of Essex where he studied economics. He drove around the country for two months, then spent a month editing all the footage. 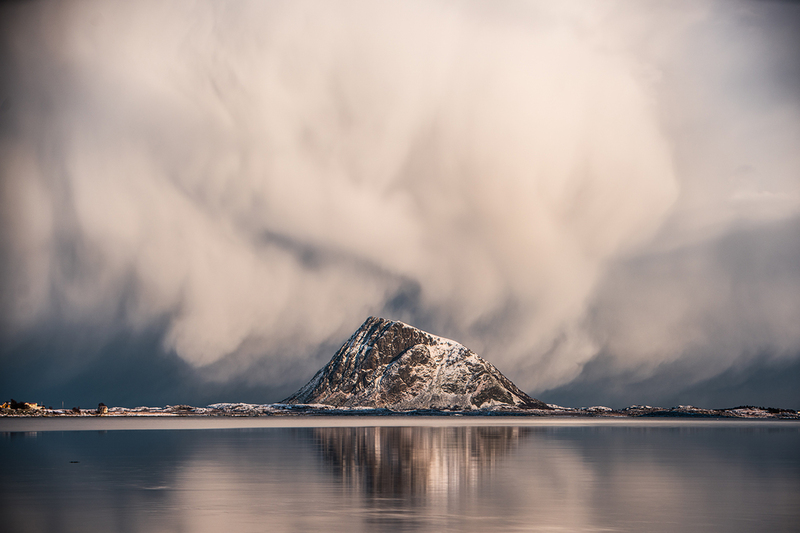 The result, "Norway – A Time-Lapse Adventure”, became hugely popular. On his YouTube and Vimeo channels, it currently has over five million views. The success even landed him steady work for a production company, meaning he is one of very few people who have time-lapse photography as a full-time job. Thus, he gets to spend a lot of time outdoors. This year, he directed a remarkable film commissioned by Norwegian broadcaster NRK named “The Forest – A Time-Lapse Journey Through the Forgotten Norway”. The idea was born from Rustad’s feelings about the Norwegian forests as an underappreciated part of Norwegian nature. Rustad often sleeps outside several nights in a row, tenting even in constant downpour. He’ll be up at three in the morning if that can yield a good shot, and he has taught himself to read nature’s little telltale signs closely to help in the planning of the photoshoots. His job is equal parts experience, patience and automation. Rustad will decide on a location, place his camera on a motorized system to achieve some motion in the image, set his camera to shoot on intervals, and sit down to read a book as he waits for between one and five hours. Rustad works mostly alone, a necessity dictated by his erratic day/night cycle. These days, Rustad is working on a sequel to “Norway – A Time-Lapse Adventure”, to be released in January. Once again, he’s been exploring Norway looking for new locations. “The most interesting thing I’ve learned during all my travels is how much unseen nature there is out there,” he says. Rustad’s tastes skews to the side of the undiscovered and underappreciated. Rather than go for popular travel destinations like the Lofoten Islands and Fjord Norway, he is a proponent of what he sees as the hidden gems of Norway. Recently, he made a trek through Femundsmarka. Another destination he really appreciates is Senja. 1. A lot of cameras have a built-in time-lapse mode. Choose your intervals depending on the speed of what you are shooting. For instance, a good interval for clouds could be five seconds, while twenty seconds is a good choice for starlit skies. When you’re ready, just press start and hope for the best. 2. Be patient and be willing to stay up past everyone else’s bedtime. 3. Don’t focus your time and energies on equipment. Spend your money and efforts on going to a cool location instead. 4. Practice, practice, practice. So much of what you need to learn cannot be found in a book. In particular, reading nature is a skill you can only acquire over time. 5. Find your own way and be innovative instead of picking the same locations you’ve seen other people do. I’ve seen time-lapse videos that copy me, the exact same spot with the exact same camera motion and composition. It looks cool, but you learn nothing from it. He skipped a party to film the northern lights. That’s a decision Nicolai (20) doesn’t regret.